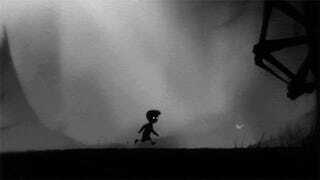 Limbo isn’t a straightforward adventure. It’s confusing. But it’s a good kind of confusing that inspires people to band together and try to solve its mysteries. It was first released in 2010 for Xbox Live, and since then, it’s been ported to nearly every platform imaginable. This month, the folks at Sony made Limbo free for all their Playstation Plus subscribers. And that means that in addition to oohing and aahing over the atmosphere and clever puzzles, gamers will continue to be titillated by both the ending and the abstract imagery throughout the game itself. Game-explaining, plot-revealing, visually intensive spoilers lie ahead. Arnt Jensen, who directed and conceptualized Limbo, isn’t telling. He has confirmed that the girl in the ending is the boy’s little sister, but that’s it. He’s even conceded that some fans have come very close to interpreting the game ‘correctly,’ but he’s upset by this; it signifies to him that he should have left less clues, not more. It’s Pretty Much Accepted, Up Front, That The Boy Is Dead. The only textual, written clue isn’t in the game itself—it’s in the game’s promotional materials. In Christian tradition, Limbo is the ‘edge of Hell.’ It is derived from the Latin word limbus, which means “edge,” and it accounts for people who are not damned, but are also not completely absolved of their sins. They could be unbaptized babies (Catholics debate this), or innocent children. They could be good men or women with personal failings. But they are not deserving of Hell, nor are they worthy of Heaven. So unless Jesus intervenes on their behalf, they exist in Limbo indefinitely. So, based solely upon this, the universal assumption from fans is that the boy is dead, even if he is not in a Biblically consistent version of Limbo. Furthermore, the boy’s glowing eyes are indicative of some supernatural work. So is the bizarre nightmare-scape he has to fight through. Some fans interpret this optimistically — that he has escaped Limbo and returned to the world of living. But land of the living or not, his eyes are still glowing, which doesn’t bode well for him. Almost Everyone Agrees That The Sister Is Dead Too. There is some pretty definitive evidence that the sister and her brother are both dead. Pay attention to the ending, and note where the boy and his sister are standing. I took the above screenshot two seconds before the ending cuts to black. Wait through the credits, and then look at the spots where the boy and his sister were standing. If you’re attentive, you should be able to see two separate swarms of flies, one over each spot. You can also hear them buzzing in the background. Decaying flesh, perhaps? They Both Fell To Their Deaths From The Treehouse. It would be the easiest explanation as to why they’re both underneath it, and also why the game loops back to this same spot. The game, quite literally, begins when they both ‘die.’ According to the various fan theories out there, this is why the treehouse is on the title screen, and perhaps it’s also why, as the credits roll, the game shows the title screen again in the background. They Both Died In A Car Crash. This theory is rooted in the ‘glass breaking’ scene — one way to interpret the glass pane is as a stand-in for the windshield of a car. Proponents of the car theory also point out the game’s late shift to machines and mechanical parts. The middle part of the game looks like a massive assembly line, and the last part of the game is dominated by spinning, mechanical rooms, which is reminiscent of a car losing control or flipping over. The Sister Isn’t Aware That She Is Dead. ‘Sister is alive’ theories hinge primarily on her eyes, or lack thereof. Since they are not glowing and the boys’ eyes are, some assume that she exists in a different state than him. But earlier in the game, there are older boys who are trying to kill you, and their eyes aren’t glowing either. The glowing eyes could very well just be a stylistic flourish, which distinguishes the protagonist from his obstacles and adversaries. So, perhaps she is unaware that she is dead. She is playing idyllically in the final cutscene, but stiffens her back when the boy approaches. Some interpret this as her moment of clarity; she might realize she’s dead — which ends the game —and then joins the boy in afterlife. Another theory states that the girl is alive, and it’s the boy who’s trying to kill her, from beyond the grave. This inverts the expectations — the figures with the spears and arrows might actually be good guys, who are preventing you from achieving your evil ends, and when the sister sits up straight at the end, perhaps she is doing so out of fear. The Boy Is Reliving An Abusive, Traumatic Life. The obstacles could be representative of the boy’s fears and traumas — his fear of spiders, his fear of the bullies who picked on him, his fear of drowning, and so forth. And the shift midway through, from natural to mechanical, could signify a traumatic family move. Perhaps in life, the boy was uprooted from his rural home, and transplanted into an urban sprawl, where he didn’t know many people — that would explain why there are no other humans or living things for the final third of the game. Some have also interpreted the scenery as the stages of the boy’s life. This theory posits that the boy is actually a dead man, and he is reviewing the lowlights of his life. Thus, the scenery change is the shift from idyllic, pastoral childhood to adulthood; he gets a low level job in mechanics of some sort, or he has to travel into the city, far from his rural home. The Boy Is Stuck Forever, And The Ending Is A Trick. Near the end of the game, there is a ‘false ending,’ where the boy is about to reunite with his sister. Unfortunately, a mind worm leeches onto his brain, and leads him away from her. And this is the foundation of the most depressing theory of all — the breaking glass and the sister in the ending are merely another trick. The boy has more of Limbo to traverse. Even worse, he may simply loop back to the beginning of the game. Like Sisyphus, pushing his rock up a hill, the boy will be have to repeat this cycle indefinitely. There might not even be a sister at the end of it all — she might be in another part of Limbo going crazy herself, or she might have already ascended and escaped. And thus, the boy might be chasing an illusion. In this theory, he’ll continue dying painfully; continue hoping for naught; continue being teased with the vision of his sister, without ever being able to touch her. Until the treehouse rots away. Until even the flies abandon his corpse. And the boy will be alone. Limbo is fantastical, clever, and fun. You should play it, if you haven’t already.